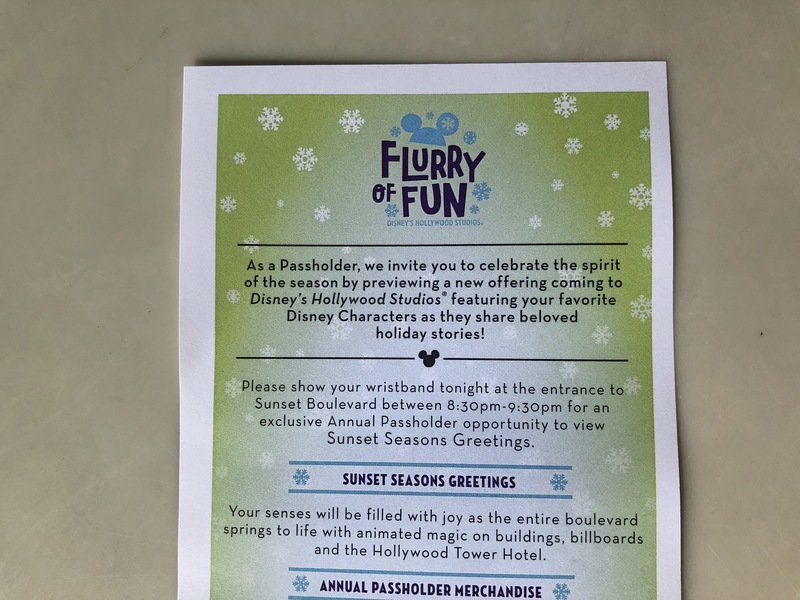 UPDATE: Wristband distribution has ended for November 5th, but there will be Annual Passholder previews on the 6th, 7th, and 8th according to guest relations. 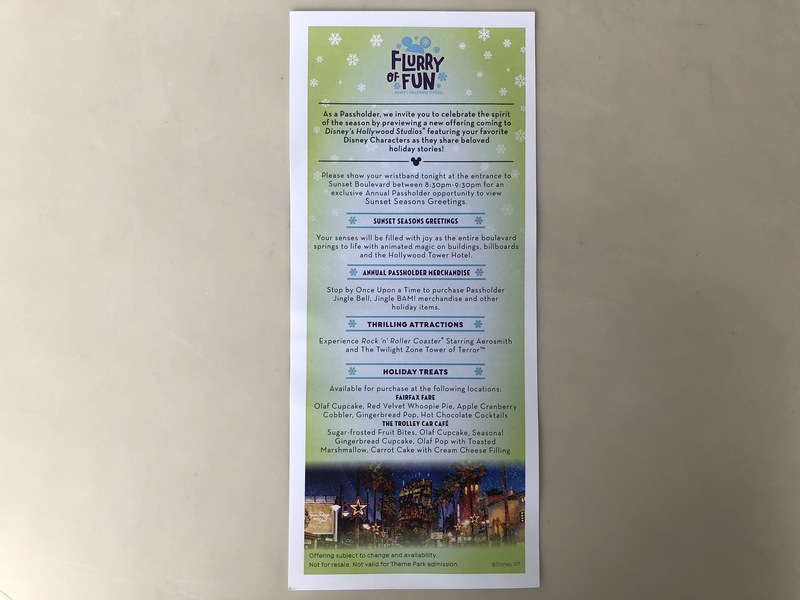 Starting tonight, Annual Passholders are able to preview the Flurry of Fun offerings at Disney’s Hollywood Studios! 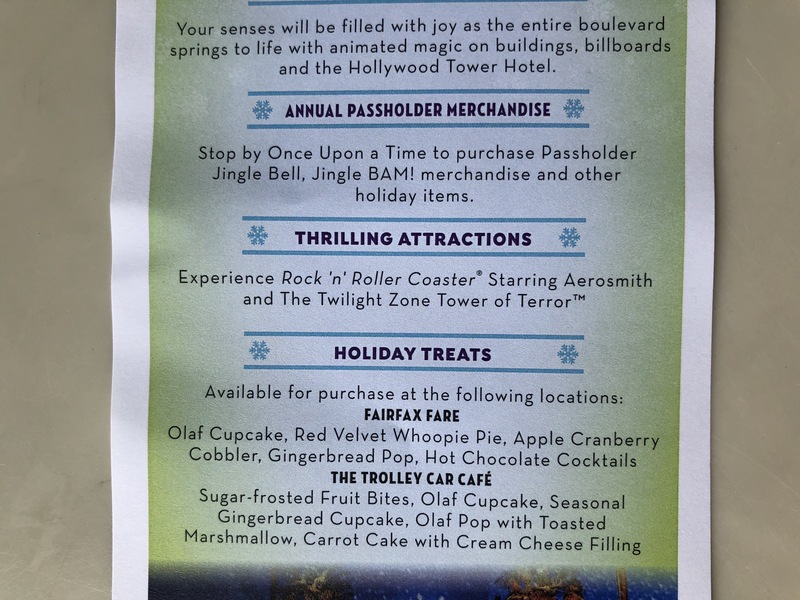 The preview includes Sunset Seasons Greetings, Annual Passholder Merchandise for Jingle Bell, Jingle BAM, and Holiday Treats are available for purchase. 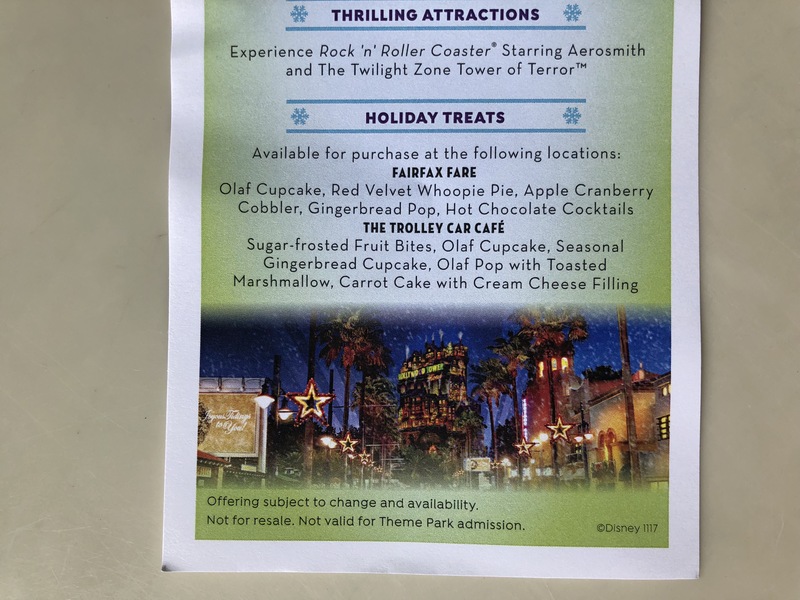 In addition to the seasonal offerings, Tower of Terror and Rock N Roller Coaster will be open. The preview takes place from 8:30 to 9:30, after park close.